Located right beside Jamsil Station, Lotte World is the perfect place should you decide to enjoy a day filled with thrill, entertainment and pure fun. Opened in 1989, Lotte World is a major recreation complex located in downtown Seoul, consisting of the world’s largest indoor theme park (Indoor Adventure) and a decent outdoor theme park (Magic Island). Indoor Adventure is the world’s largest indoor theme park that hosts a variety of seasonal festivals and parades all year round, including the Masquerade Festival, the Rio Samba Carnival, the Halloween Party and the Christmas Festival. The daily parades (at 230PM and 7PM) are no doubt a star attraction at Lotte World since everyone will usually stop their tracks just to catch a glimpse of the parade. Revolving round the theme of “Little World Village”, Indoor Adventure features 22 different rides including the Conquistador, the French Revolution, the World Monorail, the Flume Ride and the Camelot Carousel. If you are a fan of Korean dramas, it is not hard to notice that the famous scene in the drama, Stairway to Heaven, was filmed right here at the Camelot Carousel. A ride will definitely bring you back to moments in that scene. In addition, sitting on a carousel (with your partner) is every girls’ fantasy, something romantic yet memorable. This is one ride that is simply not for the weak-hearted as you get to enjoy the thrill of a 360-degrees rotation and experience how it is like to be dangling upside down when you reach the top of the loop. Not the typical Pirate Ship as The Conquistador goes to a whooping 75-degrees! Highly recommending thrill-seekers to take the front and rear end seats as the front and the rear end seats will rise 5m and 24-degrees higher than the other parts of the Pirate Ship. 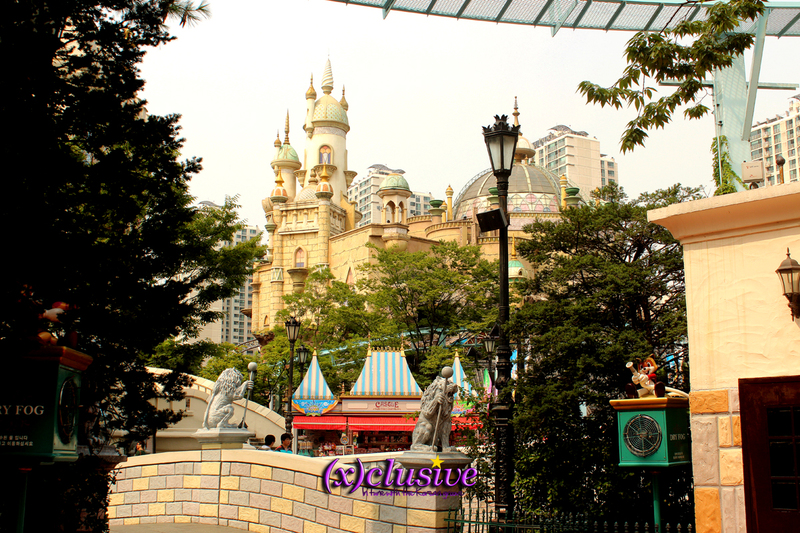 Magic Island, the outdoor theme park of Lotte World, is an artificial island located in the middle of Seokchon Lake. Designed with a Medieval European style with a spell-binding Magic Castle in its center, Magic Island boasts 17 different rides including the high-altitude free-fall thrill ride, the Gyro Drop. As compared to the Bungee Drop, the Gyro Drop is definitely more exciting as you get to experience zero gravity for two seconds at the moment of falling. Gyro Drop is the first playing facility in Korea where you get a high-altitude free-fall experience. My favourite ride in Lotte World and would highly recommend this to all thrill-seekers. On the Gyro Swing, it honestly feels as though you are flying since it moves like a rotating pendulum. There were few time in which I felt my legs were going to touch the water, which we eventually didn’t. A genuinely relaxing ride that is suited for all ages who which to experience something fun, yet not too exciting. 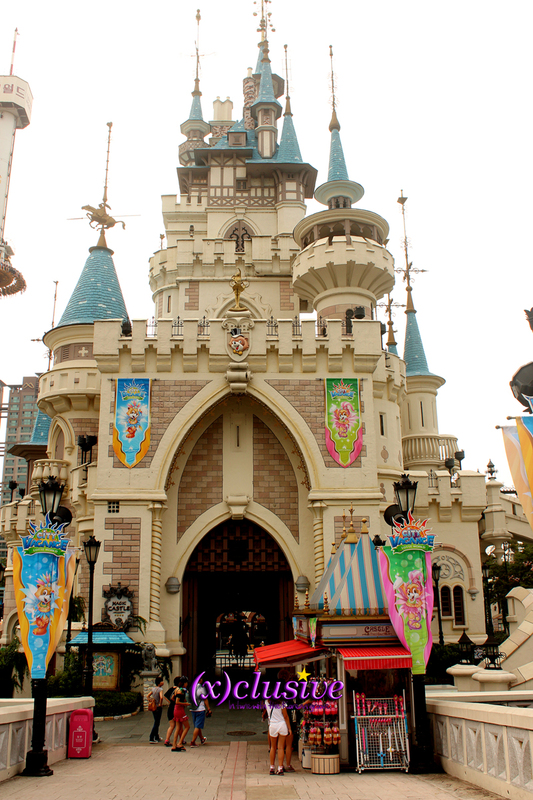 If you are looking for heart-dropping and intensifying rides, then Lotte World would definitely not be your ideal choice as this theme park is catered and geared towards families from the numerous children rides and facilities that could be found at every corner. However, do not look down on Lotte World as the Giant Loop and Gyro Drop will be rides that you wouldn’t want to miss if you are someone who likes thrill and excitement. 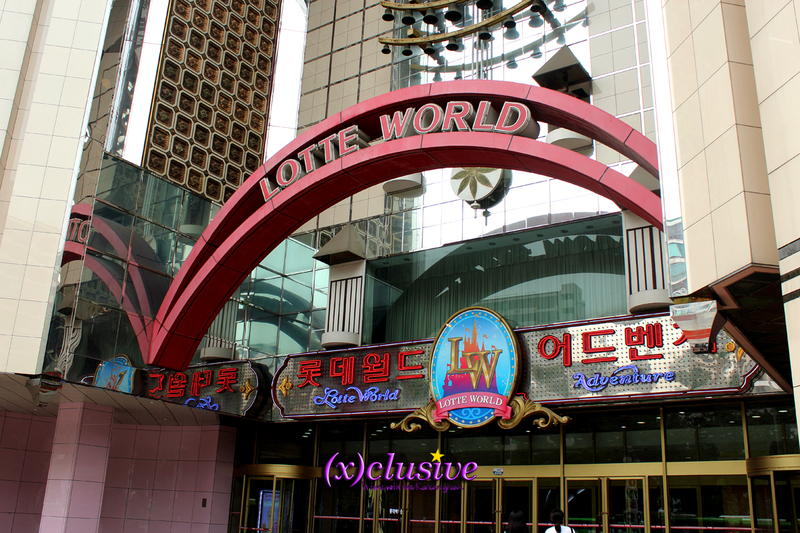 Should you be looking for a place to take your date, Lotte World is definitely one destination you should consider. A brief glimpse and you would surely spot couples around you. 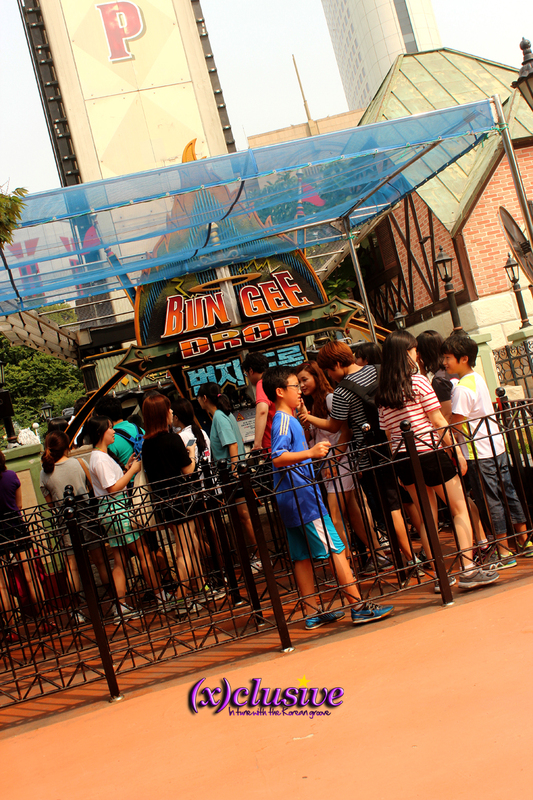 It is as though Lotte World is the No.1 dating destination for couples. The thing about visiting theme parks in Korea is definitely the purchasing of various adorable headgears that come in all sort of designs ranging from tiger to cat to rabbit. It is like a ‘must do’ when you head to theme parks in Korea. So let down your guard for one day, put down the burden that people are judging you and follow the ritual of wearing a cute headgear when you are at Lotte World. One thing I will never understand is to why Lotte World is crowded every single day, regardless of it being a weekday or weekend, school holiday or not. The whole place is just swarmed with people, tourists or not. Queueing for rides take at least an hour and more popular rides around two. If you are interested in taking a popular ride, you could probably consider opting for a Magicpass, a ticket that enables you priority entry to the ride at an allocated time. However, do note that not all rides have Magicpasses and that you usually have to wait for like two hours or so after receiving the Magicpass, though you could make use of that time to queue for other rides. Alight at Jamsil Station (Line 2 or Line 8), Exit No. 4. Lotte World is directly connected to the station. For more information, you can refer to Lotte World’s Official Website. Seem like Disney land to me.